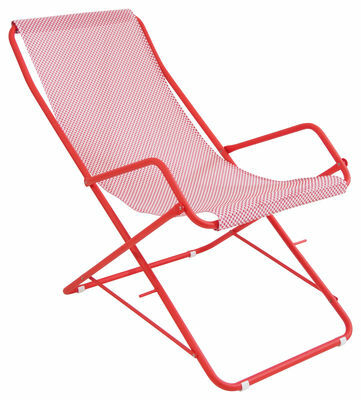 The Bahama deckchair is a classic EMU production. 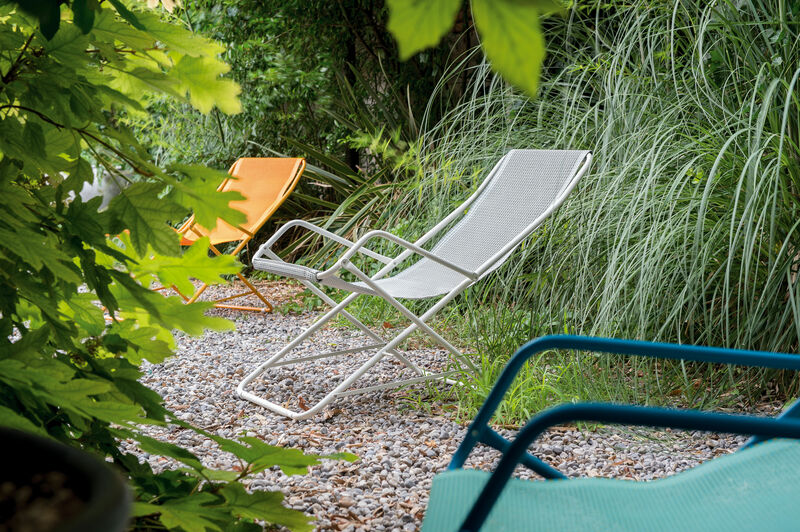 The fabric in outdoor material falls softly on the swinging frame. 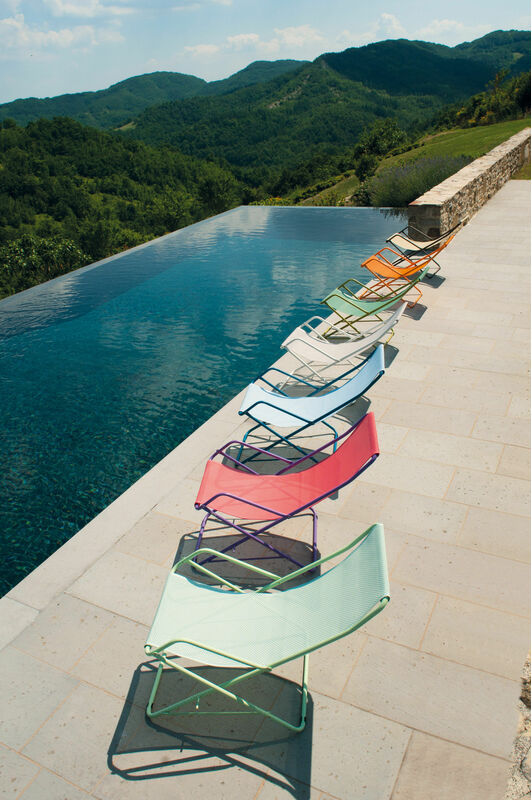 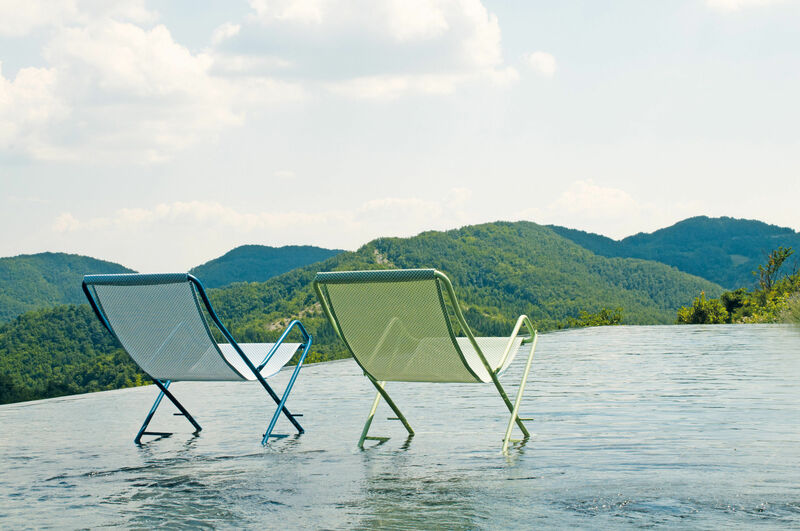 The deckchair, in carrying out of a pleasant oscillating movement, enhances moments of relaxation. 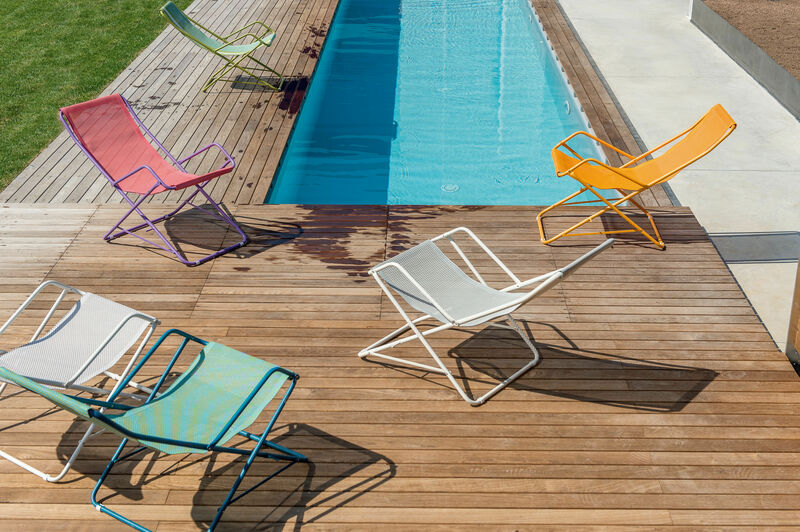 The frame and components are available in different colour combinations.